B2B travel portal, the solution for travel agents to create sub-agents under the umbrella. The travel solution is an back-end system for sub-agents to book tickets for their users with an option to add markups on each booking from the back-end. This cloud based system consists of every all the services such as hotels, flights, car-rentals, cruises, activities, tours and packages. The admin will have all the control over the sub agent access and can also change the markups for each agents. Quick Travel Affiliate developed a travel framework for the travel agencies and online travel sites to have a B2B travel portal for their sub-agents to do bookings for walk-in customers. The system is managed by parent travel agency or online travel agency, the sub-agents will have a virtual deposit account with the parent agency for the bookings. While parent agency can access the bookings history and markup history of each sub-agent to maintain a sophisticated relationship between them. Also, parent agency has a facility to provide credit limit to the sub-agents for the booking of travel services from their logins. The booking system will have an option for anyone to become a sub-agent with simple signup process, a small verification email will be sent to the admin to activate the sub-agent. The system can consists API integration from multiple suppliers or event the GDS integration from multiple travel suppliers. Although, sub-agent can only view the bookings and can add markups for the bookings. Apart from that, the main controls will be with admin, the owner of B2B travel portal. 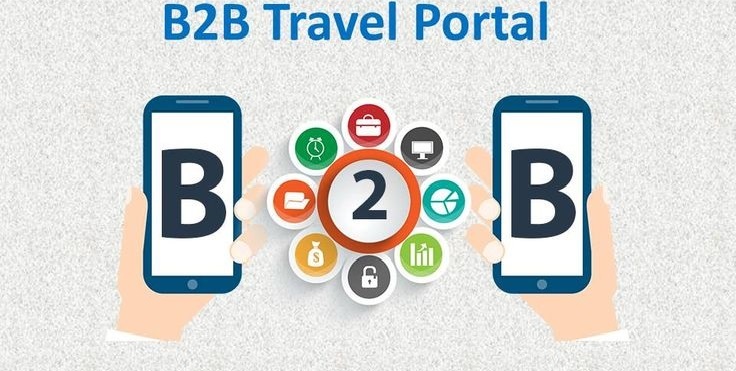 The B2B travel portal can double the revenue for online travel sites and travel agencies. The crux of this travel solution is in the list of sub-agents you can create under your roof.